No matter who wins, the TNIE GOAL 2017 semifinal clash between Christ College, Irinjalakuda, and MD College, Pazhanji, on Friday will leave many hearts broken. MALAPPURAM: No matter who wins, the TNIE GOAL 2017 semifinal clash between Christ College, Irinjalakuda, and MD College, Pazhanji, on Friday will leave many hearts broken. For, the glorious run of the two teams have made them the eye-candy of the fans, who would definitely hate to see either of them leaving the tournament. The semifinal journey of the two teams was remarkable, with both trumping opponents more accomplished than them. While Christ got the better of Guruvayoor Sree Krishna College, Payyanur College, and two-time champions Thrissur Sree Kerala Varma College in their winning run, MD were equally impressive with wins over Dhanuvachapuram VTM NSS College, Manjeri NSS College, and Wadakkanchery Sri Vyasa NSS College. “We went the extra mile to prepare for the tournament and are here consequently. Now that we are here, we want to be champions,” said Christ College coach Sreejith Raj, an alumnus of the college. “We started preparations during the Christmas vacation, while other colleges were holidaying. We only took a day off on New Year’s Day. This is the biggest stage for college football and we want to prove ourselves here,” he added. Both teams met at Chavara memorial football tournament at St Aloysius College, Elthuruth, earlier this week where Christ won in penalty shoot-outs after a 1-1 draw in regulation time. “We are confident that we will get a good result,” said MD College coach Jali P Ibrahim, who assembled a team from Pazhanj i and surrounding regions. “I have told my players not to let the opponents win because of our mistakes. If they play better than us and win, we will accept the defeat and shake their hands,” said Jali, a sprinter-turned-football coach. Christ will bank on striker Antony Paulose, the joint top-scorer of GOAL 2017 with four goals, and midfield maestro Muhammed Parakottil, a part of this year’s Kerala Santosh Trophy squad. 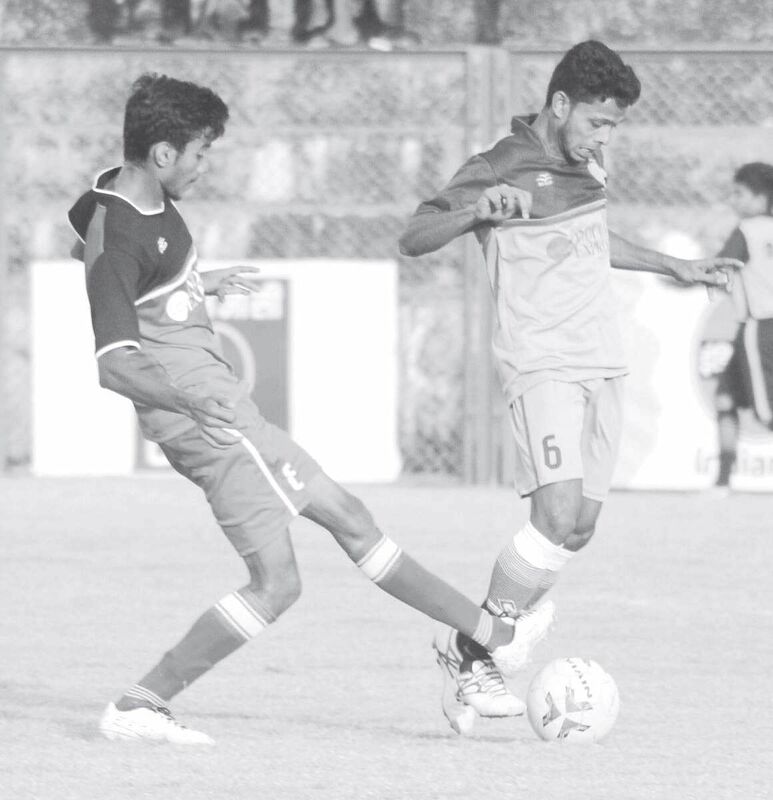 For MD College, their defence manned by Fasil K M is one of the meanest in the championship and is supported by holding midfielder Ibrahimkutty B. Ashique V V, also with four goals, would also be a threat in the box while Nabeel playing behind him has also been a stand-out performer in the tourney.